Update (Feb. 1, 7:00 AM) – Customers are advised that the Power Watch that was in place for the Upper Lake Melville area this morning is no longer required and has been lifted. 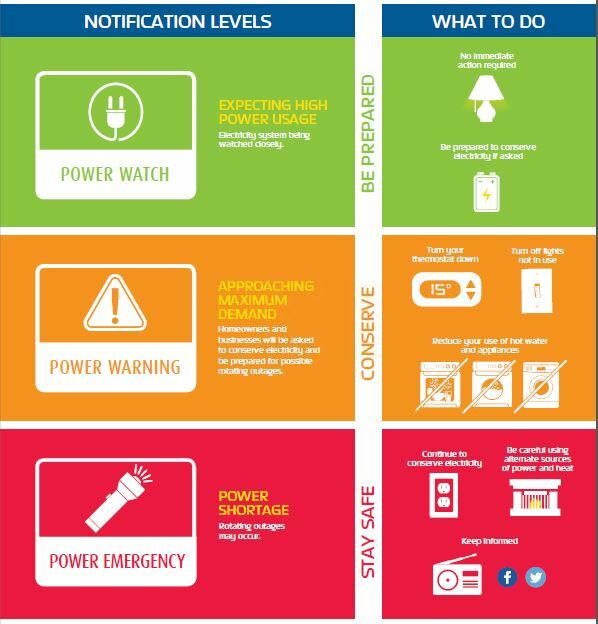 Newfoundland and Labrador Hydro (Hydro) is advising customers in the Upper Lake Melville area that a Power Watch is in effect for tomorrow (Friday, February 1st) beginning at 8:00 a.m.
System demand is expected to be high during peak periods tomorrow morning, with very cold weather forecast in the area as well as equipment offline in Happy Valley-Goose Bay. We are not anticipating any issues tomorrow morning, however we are monitoring the system closely. No customer action is required at this time, but customers are asked to be prepared to conserve in the event the situation changes. We will advise customers if the status changes. For updates, follow Hydro on social media at www.twitter.com/NLHydro and www.facebook.com/NLHydro.